When spoken about in Western media particularly, Africa has often been presented as a continent ravaged by wars and blessed with vast natural resources yet barely able to feed its people and compete with the rest of the world economically. To present the African continent in this way is not entirely untrue though in the words of the celebrated Nigerian writer, Chimamanda Adichie, it presents only one side of the story – “a single story.” The Africa of today is still plagued by many of these problems yet a great deal of change is taking place; the so-called ‘African middle class’ is well and truly on the move. By ‘middle class’, I refer to individuals and households that are seeing their incomes rise at a rate that provides them with sufficient disposable income to consume on what in economics we call ‘a higher indifference curve.’ They are able to spend their ‘income excess’ on more, higher value non-food items such as foreign holidays, land, property, company shares, other financial securities, and more. These households and individuals are generally well-educated, to university degree level at least. Several have been educated abroad at some point in their lives and the majority of them can be considered to be in professional employment, as accountants, lawyers, engineers, doctors, IT consultants, educationists, or business people. “many Africans are joining the ranks of the world’s consumers. In 2000, roughly 59 million households on the continent had $5,000 or more in income — above which they start spending roughly half of it on nonfood items. By 2014, the number of such households could reach 106 million.” – McKinsey Quarterly, June 2010 Report: What’s Driving Africa’s Growth? And naturally there will be many other households and individuals earning way above this level. When we look at the education of their children, many are opting for private education over state education systems which in countries such as Zambia, are just about coping due to numerous solvable challenges. In the minds of virtually all respected commentators, the economic progress being experienced by the continent’s middle class is all good news for the continent’s populace. They often cite the benefits of strong local demand for local products, a widening tax revenue base and job creation undertaken by entrepreneurs. It’s worth pointing out, however, that rising living standards and increased consumption often lead to the middle classes in many countries (not just developing ones) to consume more imported products over local ones. Just over two decades ago, many African countries, including my own, did away with the socialist economic model that was synonymous with the one-party state. Many of our Independence leaders had held on to that model unswervingly since Independence in the 60s and 70s. By the late 80s and early 90s, it became clear that the model was just not working. Strikes and protests became the order of the day. But with a new generation of African leaders came widespread change and the arrival of democracy and economic liberalisation. Some of Zambia’s state-owned enterprises, most famously its mining giant ZCCM (Zambia Consolidated Copper Mines), moved from public to private hands. The mines were now going to be run not directly in the interests of the people of Zambia but primarily for profit for their new private shareholders. As the 20th century drew to a close, it became more obvious to people that they were living in a new economic era. I speak about Zambia particularly here but about the continent more generally. Government policies encouraged investment, primarily foreign but increasingly domestic too. It became an era where you did not have to wait to be employed, but you could start your own business and be an employer. An era where you did not have to rent a house all your life, but you could actually buy or build one and pass it on to your children as part of their inheritance. It was now an era where you did not have to feel bad about becoming financially successful, you just went ahead and did it. The American Dream, or something akin to it, was well and truly alive…in Africa! And this is what all those protests in the 1980s and 90s were about right? These are the sort of societies we have been desiring to build all along, right? When we speak of lifting people out of poverty, this is the point we want them to get to, surely? Amidst talk of economic progress, there however exists a thin line in my mind between immense optimism for the continent and grave concern. As an African, I have become fed up of seeing images of poverty-stricken Africans become the defining feature of my continent abroad. We Africans detest that and so anything that reflects our continent in a more positive light is welcome. News of consistent economic growth is often presented as one of those positives. But I raise the question: are we at grave risk of becoming increasingly-divided societies in the process? I am entirely in favour of economic progress, private sector-led economic progress that is, but economic progress that supports the few over the masses is nothing to write home about. The progress being achieved at present is not as widespread as it should be. 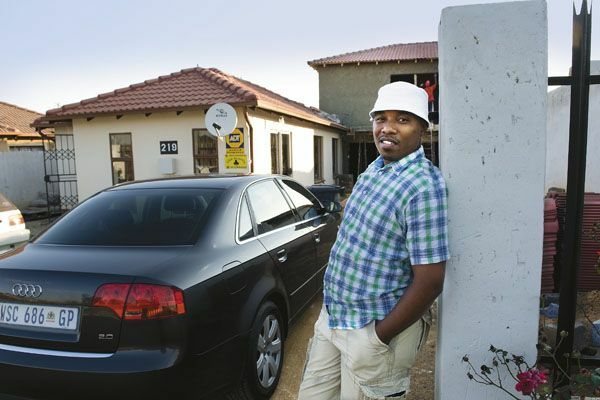 Consider urban township dwellers exposed to poor sanitation and at risk (year in and year out!) of waterborne diseases such as cholera? Or the children unable to learn at their rural government school because of teachers striking in protest of better working conditions? Or the father grossly underpaid by his employers on one of the country’s several mines because Labour Ministry officials fail to enforce minimum wage laws? If GDP (Gross Domestic Product) figures are impressive, do these other issues become unimportant? When governments fail to honour their obligations to the masses, those with a stronger voice must speak out for those unable to speak for themselves. Governments need to be reminded of their responsibilities and must be held accountable. And if the middle class become too comfortable and too preoccupied with the things that occupy middle class people, then they will soon be rendered passive and ineffective; a community side-stepping economic injustices that exist right on their doorsteps. I believe that educated and professional Africans (the ‘middle class’) have a responsibility to hold their governments accountable on behalf of those with a weaker voice. Seeing the suffering in your brother’s or sister’s eyes should lead you not to shut the windows of your Lexus as you drive passed, but it should instead push you to fight for their well-being too. And I don’t just mean charity (“Hey, here’s a T-shirt!”) though that certainly will be part of it. I mean fighting for the authorities to take seriously their responsibilities of creating fair opportunities for all. To take seriously their responsibilities towards not only those already on the ladder of economic progress, but especially towards those that are barely able to get a grip of the first rung. Without this and more, we risk blindly entering an era plagued by gross inequalities and materialistic obsession, if we have not already. Economic aspirations must be met but economic injustices must also be fought. This piece was originally written in 2010 under a different heading. BRICS Development Bank: More about political posturing than anything? Calling the BRICS economies “the world’s five most dynamic” is likely to be an overstatement of fact. Whatever “dynamic” means in this context. Nevertheless, the direction of travel around the creation of this development bank will be interesting to follow. It is intended that the bank will act as an alternative to Western lending institutions such as the World Bank. I wonder where its lending criteria will be positioned – somewhere in between the generous EXIM Bank of China and the conditionality-obsessed World Bank? (1) How much of this is simply about political posturing? Should citizens of the five countries (particularly South Africa) be sceptical? The implications of being involved in the project (and the grouping itself) are costly (initial capital injection of $10 billion) and therefore how these countries will benefit needs to be made more obvious to citizens. I suppose putting your money where your mouth is is an essential part to being a member of the big boys’ club. That said, is there really a case for a global emerging markets/developing world development bank? It’s well-known that these plans are borne out of frustration at the lack of reform in the Bretton Woods institutions but how different will the BRICS bank be to the World Bank in its actual lending? (2) How sustainable is the whole project? An initial capital injection of $10 billion as already mentioned is no small amount. And that’s just the beginning. Given the notion that it will be different to the World Bank, will it find itself trying to be all things to all people (i.e. serving the interests of its founders while also acting as flag bearer for “sustainable development projects in the BRICS and other emerging economies and developing countries”)? Surely its founders will, in the longer term, succumb to self-interested policies leading to accusations of it acting just like the World Bank? Look out for the BRICS Conference from 26-27th March 2013 in Durban, South Africa. Last month the offices of a London law firm played host to a Royal African Society event entitled ‘The BRICS: A view from South Africa’. Dr Martyn Davies, CEO of Frontier Advisory, a South African research, strategy and investment advisory firm was invited to speak. His talk was wide-ranging and included an analysis of South Africa’s current position within the BRICS grouping, the challenges and the opportunities. Davies stated early on that as demonstrated by South Africa’s joining in 2010, membership to the club had been largely down to geopolitics and not economics. The increasingly-influential BRICS grouping is made up of five of the world’s leading emerging economies – Brazil, Russia, India, China and South Africa. Even though BRICS members were united around a common vision of re-configuring the global economic landscape away from the erstwhile G8, what divided the BRICS nations was actually more powerful than what united them according to Davies. The intense economic competition that exists between them demonstrated this. 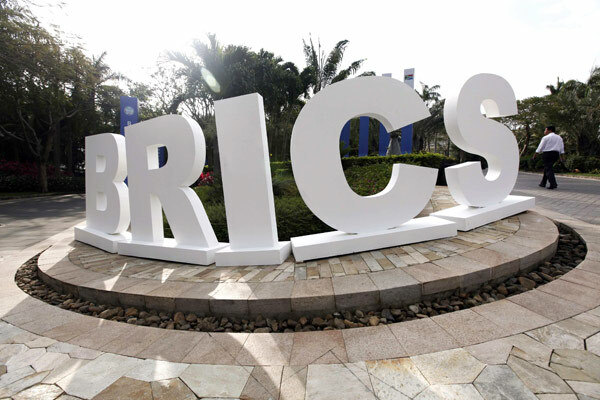 BRICS unity will come under greater scrutiny in coming months as the group seeks to strengthen co-operation on projects such as the BRICS Development Bank. Compared to its BRICS partners, South Africa’s economy is the tiniest by some distance. Its domestic output stood at US$408.2bn according to 2011 World Bank figures. That is roughly a fifth of Russia’s and India’s economies, the next biggest, which stood at US$1.9tn. As expected, China’s economy led the pack at US$7.3tn while Brazil’s occupied second position at US$2.5tn. Despite its comparatively small economy, South Africa is an important member of the grouping as it is Africa’s largest economy and as some of its policymakers would like to believe, the cultural, trade and investment gateway to the continent – a view contested by observers such as Eliot Pence in his African Arguments article. And even if South Africa were to position itself as the “Gateway to Africa”, Davies argued that successive South African governments had not made deliberate efforts to making this more of a reality. Of the five BRICS nations, South Africa is the one with “first-mover” advantage in Sub-Saharan Africa but it had been slow to actively formulate policies that encouraged and enabled greater penetration of African markets by its corporations, compared to China and Brazil. Davies stated that in 10 years no South African government minister had visited Angola, a mere 2-3 hour flight away from Pretoria and now one of the continent’s fastest growing economies. Contrast that with the number of high-ranking Chinese officials that have visited the country during that same period. He questioned how serious policymakers were about deepening their country’s engagement with the continent’s growth markets. An audience member raised the Nigeria question: what was the likelihood of Nigeria joining the group as Africa’s second-largest economy? Davies noted that because of the geopolitical dictates surrounding club membership, it was unlikely that Nigeria would be invited to join in the foreseeable future. South Africa, he said, would be more enthusiastic about an Indonesia or a Turkey joining, as is expected from next year forming the BRICSIT. Maybe this would allow South Africa to get its house in order first. As the group expands, it is likely to adopt a more pronounceable name: the E5 (Emerging 5) or E7. Davies then went on to discuss China. Its economic achievements via state-led capitalism have led to a growing appetite for a similar model in some African countries and South Africa has not been excluded from this. State-led capitalism, he said, doesn’t necessarily involve the state through state-owned enterprises venturing into the market. It can mean the state being proactive at engaging business to create a good commercial environment as well as stepping in to provide the necessary backing where markets fail or just can’t deliver. Davies cautioned against unhelpful intervention by the state and instead called for greater commitment to a more investment-friendly environment. Grow now, clean up later? African countries must avoid a ‘grow now, clean up later’ approach to development. Check out this conversation between Janvier Nkurunziza, Economist at the United Nations Conference on Trade and Development‘s Division on Africa, and David Williams of ABN Digital as they discuss the importance of environmentally sustainable development.